Do Not Confuse BONETHANE PREMIUM WITH BonethaneGN Acrylic & IPA ACRYLIC, THEY CUT DIFFERENTLY!!!! BELOW STEPS 1 to 9 are Special cutting instructions for cutting IPA Acrylic. NOTE: IPA Acrylic can be adhered to the wall with the same silicone process as Bonethane Premium in a grid format & a 1 to 2mm gap should reside around the parameter of the sheet for placement on the wall. This is the only similarity in the install process. The cutting & drilling instructions in steps 1 to 9 for Bonethane Premium DO NOT apply to cutting & drilling of IPA Acrylic series splashbacks and Wall Panels. When mounting and applying silicone to Bonethane or IPA polymer substartes to the wall for good adhesion it is advised to mount sheets to gyprock surface or laminate to fiber cement sheeting. Bricks and concrete are not suitable. So it is important to line your wall if brick or concrete is exposed. Check the grade of material you have to determine the correct install process. Check that the colour is correct by peeling back the top left corner a few cm only. Do not attempt to cut or install if colour is incorrect. 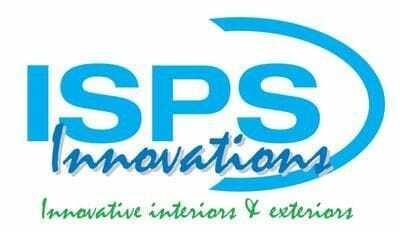 Call ISPS Innovations on 08 83818880.
and register with ISPS, do not install if there is a discrepancy. Use Parfix All Purpose neutral cure in clear as adhesive. Prior to install & cutting of your Bonethane sheet check colour, slightly peel back masking in the top left corner. For multiple sheets & consistency order from same colour batch. Do not use the colour on the Bonethane brochure as a guide for our standard colour range. If you have a particular colour, choose our colour match option, call us direct & we will waive any flat colour match on Bonethane Premium 2440 x 760 sheet, all you have to do is pick up that phone. For cut to size jobs, check all measurements prior to install, inform ISPS & do not install or cut if difference is evident. TIP: Use packaging as template for cutting..
Lay Bonethane flat for first 3 hours prior to installation. Ensure your wall is prepared correctly free from holes & areas water proofed & cured accordingly. Coat the wall a neutral colour, allow to cure if installing IPA Acrylic. Measure the outside perimeter of the wall, length & height, allowing a 1 to 2mm gap all around. For example if you: measure 500 height by 500 length, your cut out area should be 498 x 498 (2mm). It is important that the 1 to 2mm gap is followed to allow Bonethane Premium or IPA to expand & contract. Also measure section for cut out(s) i.e. power points, angles etc. On the perimeter of Bonethane Premium allow a 1 to 2mm gap all around. The tile wedge will be placed around the perimeter of the millimetre gap once clear silicone is applied to back & placed upright, against the wall. The tile wedge will hold Bonethane Premium in place (more information about this at Step 8). TIP - Always measure Bonethane Premium prior to install even if ISPS has cut the sheet. It is important to place Bonethane face down (masked side down) in preparation for cutting. The area for the preparation of cutting must be free of obstacles, on a solid flat, non slip surface & in a well ventilated & lit area. Ensure the Bonethane Premium sheet is firmly secure in preparation for cutting. Cut splashback once perimeter & cut out(s) measurements are final, making sure Bonethane is face down (that is the masked side is touching the flat level non slip surface & the coated side is facing you). Power hole cut outs vary on the power switch. The cut out should not be greater than the covering plate. An electrician will also need to connect electricity if you have extra outlets. Switch off electricity for your safety!!! First vertically from the top, then horizontally creating a grid of squares around 10 to 15 cm in width and length. After the clear silicone grid process, mount Bonethane Premium, onto wall, inserting cables through power hole cut outs, securing tile wedges around the 1 & 2mm allocated perimeter. Leave tile wedges for approximately 2 hours. The same silcone grid effect can be applied to IPA Acrylic Series. Clean surrounding areas free from saw dust particles. Peel off protective film from Bonethane Premium face once you are satisfied with secure placement. Finally use silicone clear non acidic to seal 2mm exposed ends. Clear is always the safest choice, white is effective if you have a steady hand or you may seek the services of a professional. Follow instructions for silicone application. Install Instructions for IPA Acrylic Series. Please read this in conjunction with the step by step guide for Bonethane PREMIUM. The difference between the sheets vary to their cutting & heat ratios. Which material do you have? Do Not Confuse BONETHANE GN & IPA Acrylic with BONETHANE PREMIUM. THEY CUT DIFFERENTLY!!!! IPA & GN ranges between 90 and 100 degrees. On Cut to size or cut to shape Spalshbacks please check all measurements prior to install. IPA ACRYLIC & GN cuts must be planned cuts. Slow revolution for drilling so not to crack or split. HOW TO CUT AND DRILL IPA ACRYLIC PLEASE READ INSTRUCTIONS CAREFULLY, IF YOU HAVE ANY CONCERNS PLEASE CONTACT 08 8381 8880 DURING BUSINESS HOURS OR AFTER HOURS MO 0424 877 084 BETWEEN 5.30PM AND 9PM nationally, IF YOUR CALL GOES TO VOICE MAIL PLEASE LEAVE A MESSAGE & ONE OF OUR HELPFUL STAFF WILL CONTACT YOU. in colour prior to installation. If the proper drill, drill speed, & feed rate are being used, continuous spiral chips or ribbons will form. For larger diameter drills, slower rotating speeds will give the best results. Use soap & water to assist drilling for lubrication. Use a sharp spade blade. First score one side at least 1-2 mm deep then turn sheet over and drill from other side. ALL BLADES SHOULD BE KEPT SHARP. BATTERY OPERATED TOOLS FULLY CHARGED. WHEN DRIILING GN & IPA RANGE USE SLOW REVOLUTUION OF SPEED!!!!!!!!!!!!!!!!!!!!! CUTTING WITH JIGSAW, FINE SHARP PLASTIC TEETH. When using a Jigsaw to cut IPA ACRYLIC all cuts should be measured accurately. Fine sharp teeth blade to cut plastic. Kuttm8 cutting pad is a great support for cutting with a jigsaw. Jigsaws should be used for small diameter curves & for interior cuts in IPA sheets. The blades are narrow & can be easily inserted through a drill hole. Saw cuts should be as close to the work as possible in order to create the perfect cut. Please see method of application for when applying silicone to back. You may follow standard instructions for installation on Bonethane Premium but pay attention to the cutting requirements reflecting the sheet grade you have purchased. Bonethane Premium cuts very easy. ACRYLIC cutting requires extra attention & time, patience to execute the cutting & hole process as Acrylics can splt & crack. SEE STEP BY STEP above for FOR FURTHER INFORMATION. IPA ACRYLIC requires wall coated a neutral colour & wall time to cure prior to installtion of splashback. Curing time is generally 3 days with a non acidic coating application.